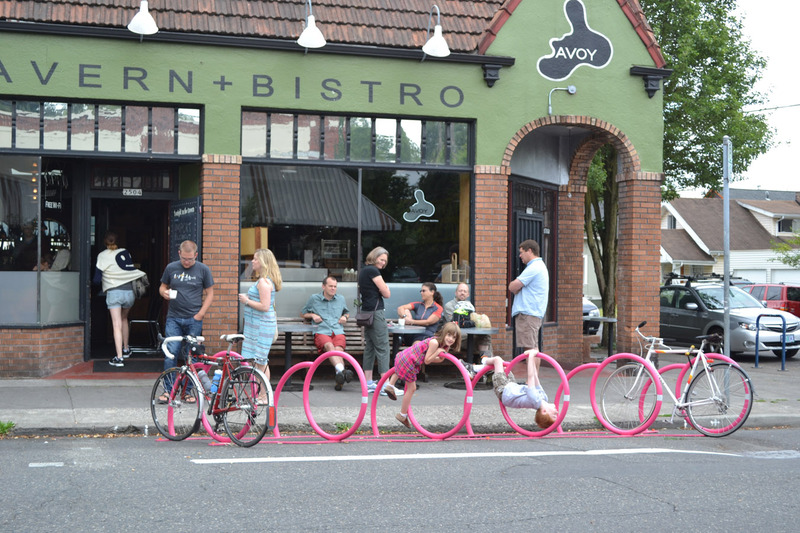 This Adventure is from the Portland edition of Where to Bike. A different view of gardens around the east side of Portland, this ride takes you through manicured neighborhoods of Eastmoreland and the landscaped mini-gardens of Ladd’s Addition. Crystal Springs Rhododendron Gardens and the Reed College campus are across from each other. Downtown Sellwood has beautiful hanging flowers and sidewalk gardens, then ride along the Springwater Corridor where wetlands and wild flowers abound. Begin at the Rose Quarter Transit Center and ride through the urban area of the Lloyd District, over Route I-84 and into bike-friendly neighborhoods. The streets are wide and the only real traffic you’ll encounter is at busy intersections. The Clinton Street Theater will be on your right after you turn onto SE Clinton Street. This is the location of the June event, Filmed by Bike, when the cycling community comes together to celebrate bicycling and film-making and amateur film-makers flex their creative muscle. A bit down the road is Crystal Springs Rhododendron Gardens on the right and Reed College on the left. Both are worth a little time to explore the season’s abundance of flowers. Reed College is located on a campus reminiscent of small town New England colleges with its brick buildings and grass courtyards. After turning at Eastmoreland Gardens onto SE 27th Avenue, your ride will take you along residential streets with beautifully landscaped homes and play structures tucked between the road and the golf course. 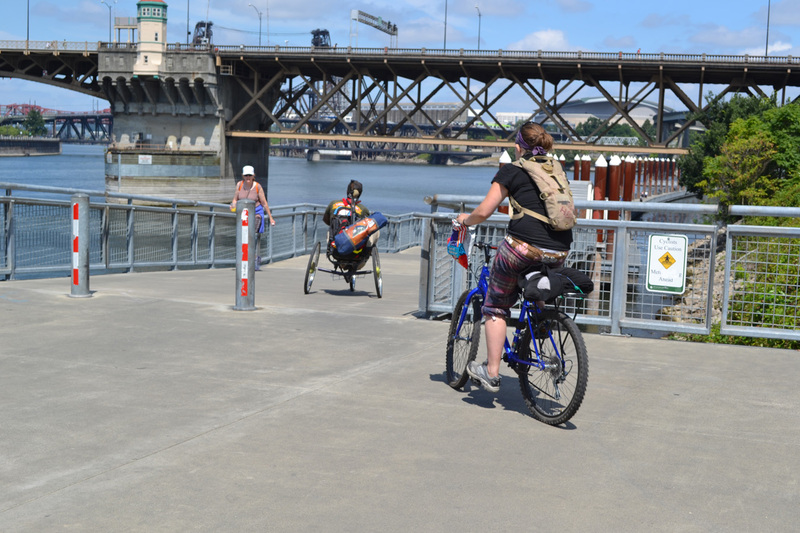 Your return trip through quaint Sellwood will bring you back to the East Esplanade via the multi-use pathway of the Springwater Corridor.